Individually, I have been playing music in one form or another since the age of ten(I’m 47 now). Believe it or not, I started with the clarinet in fourth grade, moved on to the tenor sax in junior high school and high school and in those years my father always had a rock band rehearsing in the basement of our home. So, I learned how to play guitar, bass, drums and keyboards at a pretty early stage in my life and have loved playing and creating music as long as I can remember. The Anabasis came together when, in 2009, I approached George Andrade (lyrics/executive producer) with the idea of merging a personal story of falling from grace and redemption with that of a sociopolitical story of the avarice, lust, betrayal and self-destructive impulses that riddle and affect our public existences while also highlighting the hope that can release us from such travails. The album was named “Back from Being Gone,” and The Anabasis was born. I’m not really sure, since I’ve been involved in music since a very early age. Ever since I heard my father’s band playing Brownville Station’s version of “Smoking In The Boy’s Room” I’ve wanted to play in a rock and roll band. So, finally getting to do this and have an album be published for the world to hear is really (as cheesy as it sounds) a dream come true for me. After we had developed the album concept, I was searching the Internet for something that would help convey the idea of “advancing” or “progressing” and I just happened to stumble upon Anabasis, which (if you look it up) you will see one of the definitions is “an advance – especially a military advance.” And it just seemed to fit with the concept of our album really well, so I decided we’d go with it. There was already another band out there called Anabasis and I contacted them and asked if they’d be OK with us calling ourselves The Anabasis and they actually wrote me back and said, “Yeah, sure, no problem.” So, the rest is history. How did you connect with the various musicians involved? Everything was arranged over the Internet. Many of these guys are my personal friends, and our friendship all stems from a love of a band called “Spock’s Beard.” Most of us are fans of Spock’s Beard who connected on the Spock’s Beard online forum. A few of the others, like Brick Williams (Hourglass), I met on other online forums, but the main theme here is we all pretty much met on the Internet. With Ryo, I planted a seed in his head a few years ago at the Three Rivers Prog Festival in Pittsburgh when I asked him if he’d ever like to collaborate on something. He’s such a cool and down to earth guy. Same goes for Dave Meros, who will be on the next The Anabasis album, along with Ryo and possibly another member of Spock’s Beard. It seems that the theme of the album is a comparison between ancient Rome at the cusp of collapse and modern America. Is that accurate? If so, would you like to elaborate? Yeah, sure… Back From Being Gone is a concept album anchored by a suite of "epic" sociopolitical songs called The Anabasis Suite. (that would be “Rome,” “Vikings,” and “Egypt.”) The songs of The Anabasis Suite are based upon three great ancient civilizations - the Roman the Norse and the Egyptian - and attempts to tell the story of and also comment upon how "simple men thrown upon the stage" of history, through their selfish actions, had affected the lives of the people living along the malls, along the fjords and along the Nile under their rule. In the process, we hoped to hold a mirror up to our own lives (microcosm) and our relationships with our respective societies and governments (macrocosm). There’s no way I could have put this kind of concept together without the brilliant writing and meticulous research of my writing partner and very close friend, George Andrade. Well, we’re already working on demos for album number two, which will not be a conceptual piece. We thought we’d free ourselves from the confines of writing a concept album and stretch out a bit with a collection of songs. Some demos are already finished and work is progressing very nicely. Well, I’d call it somewhat heavy melodic progressive rock. It is what it is. We tried to avoid clichés and just write what came out. What came out is a blend of metal and progressive rock and maybe even a touch of pop here and there. 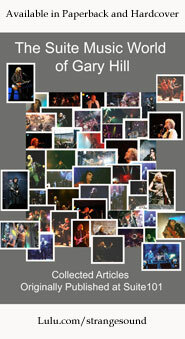 In the past I have had the good fortune of working with a lot of great people in the progressive rock community. Me and some friends of mine released a charity CD in 2005 called “The Tsunami Projekt” and I had the good fortune of meeting some really great people back then, including Mark McCrite (Rocket Scientists), Neal Morse (Transatlantic) and Nick D’Virgilio (Spock’s Beard, Tears For Fears), Tom and John Galgano (Izz), Paul Adrian Villareal (Suncaged), among others. I’m hoping to invite some of those people, as well as a few other cool guests from the prog rock scene to play on the next album. It’s killing the music business. I think that’s up to each band whether or not they want to allow it. This isn’t quite the same as illegal downloading, because bootlegging has been going on for many, many years and it never had the destructive force of today’s CD pirating. Drums – Nick D’Virgilio (Spock’s Beard) – amazing groove and chops plus excellent vocal capabilities for either lead or backing vocals. Lead Guitar – John Petrucci (Dream Theater) – do I really have to qualify this? He’s John freakin’ Petrucci! Lead vocals – Russell Allen – I think he’s the best vocalist in prog/metal, but if you listen to his solo album, you realize that he’s also not a one-trick pony - amazing talent. Last CD was Opeth – Heritage and that one’s been getting quite a few spins along with Dream Theater’s latest album, A Dramatic Turn of Events. I’m an I.T. Department Manager by day, so most of my reading is confined to technical manuals. I saw Dream Theater on 10/10/2011 in Boston at the Orpheum Theater and they were great. Their new drummer, Mike Mangini is such an amazing guy to watch playing. He’s full of an incredibly infectious joy. I absolutely love Barry Manilow. That’s right, Barry Manilow, deal with it. Probably having a four inch spark jump the gap between an ungrounded microphone and my lower lip while playing a live gig in front of a rather large audience. I got burned pretty good but the audience thought it was part of the show and they all gave the “m/(>_<)m/” sign when it happened as if I meant for it to happen, so I just kind of went with it, even though I was pretty much gushing blood. I’d just like to thank anyone who has taken an interest in our humble project. Our album is purely a labor of love. We’re not in this business to get rich and famous. We’re in it for a love of the progressive rock genre and we just want to share our music with others who also love the genre and thank you for the chance to do the interview and for the review of our work. We appreciate it.